NAIROBI- African people are awaiting a Chinese-built Standard Gauge Railway (SGR) project set to run from Kenya’s coastal city of Mombasa to Rwanda’s capital Kigali through Uganda, the latest in a spate of efforts to facilitate transportation and boost trade in the eastern Africa region. It is expected to cover a distance of about 2,935 km (1823.72 miles), featuring passenger trains with a speed of 120 km per hour (74.56 mph) and freight trains designed to move at 80 km per hour (49.7 mph). Many African people are upbeat about the prospect of good results once the railway project is completed, saying it will be the backbone of the East African countries’ public transport system and a key component of growth. “The project will redefine the concept of regional transportation, providing Rwandans and visitors with a fast world- class transportation system,” said Eric Komugisha, an engineering graduate in Kigali. “A fast and efficient means of transport is all that we need to develop. 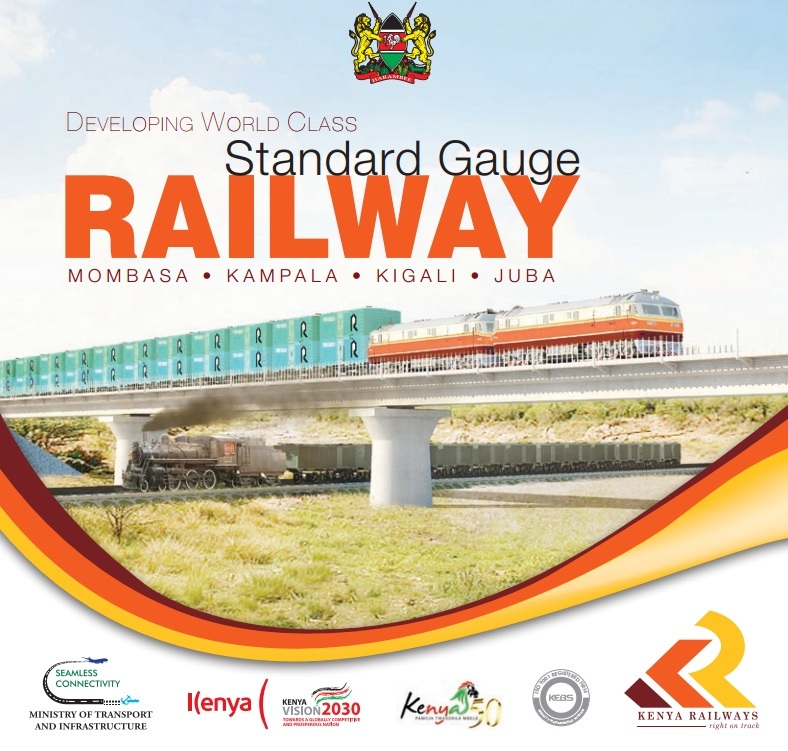 If possible, some of us would like to travel more often to neighboring countries and explore new businesses once the railway network is completed,” said Daniel Kamau, a Kenyan newspaper vendor. China in May 2014 signed a deal to build a 3.8-billion-U.S. dollar rail link between Kenya’s Mombasa and Nairobi, the first phase of a line that will eventually link Uganda, Rwanda, Burundi and South Sudan. Under the deal, Exim Bank of China will provide 90 percent of the cost to replace the decades-old British colonial-era line with a 609.3 kilometer (379 mile) standard-gauge link while Kenya will fund the balance of 10 percent. Construction on Kenyan side started in October to take three and half years to complete, with China Communications Construction Co. the main contractor. By January 23 this year, about 500 meters of the railway line have been already set in eastern Kenya. Experts said the project could place the east Africa region at par with world’s advanced countries whose railway projects have played a key role in industrialization and modernization. The efforts of the government in regard to regional projects are also highly appreciated by the residents who talked to Xinhua, particularly those who travel across borders with national identity card. Rwanda’s state minister for Transport Alexis Nzahabwanimana said by March 2016, areas where the railway line would pass will have been demarcated, adding that Rwanda needs about 1.2 billion U. S. dollars to meet the cost of the project. Rwandan resident Prince Higiro said there are many indirect benefits for this project which will save a lot of time for Rwandan residents and visitors and will have a huge economic impact. The project is also expected to create jobs and elevate living standards in the wake of an improved transport system, he added. One Rwandan business woman who gave her name only as Francoise showing the thumbs-up sign said that residents will no longer use buses to go to Kampala or Nairobi but would just commute by train. As a result, there will be less fatigue and the residents will have a community that indeed befits its name, coming together, she said, adding that the project is exciting indeed. “It is clearly evident that China is committed to transforming Kenya not only through infrastructure development but also trade and investments,” said David Wakaba, a Kenyan hotelier.